Before the grand premiere of the most anticipated stage musical in Manila, let's just review some facts about the spell binding theatrical adaptation of the 1995 Gregory Maguire Novel. Might help those who are still new about the show and refresh the memories of those who already saw it. WICKED, one of the most successful shows in theatre history, is the winner of 50 major awards including a Grammy® Award and three Tony Awards®. Approaching its 10th Anniversary on Broadway, and its 8th triumphant year in London’s West End, WICKED’s North American and international companies have cumulatively grossed over US$3 billion have been seen by over 37 million people worldwide. 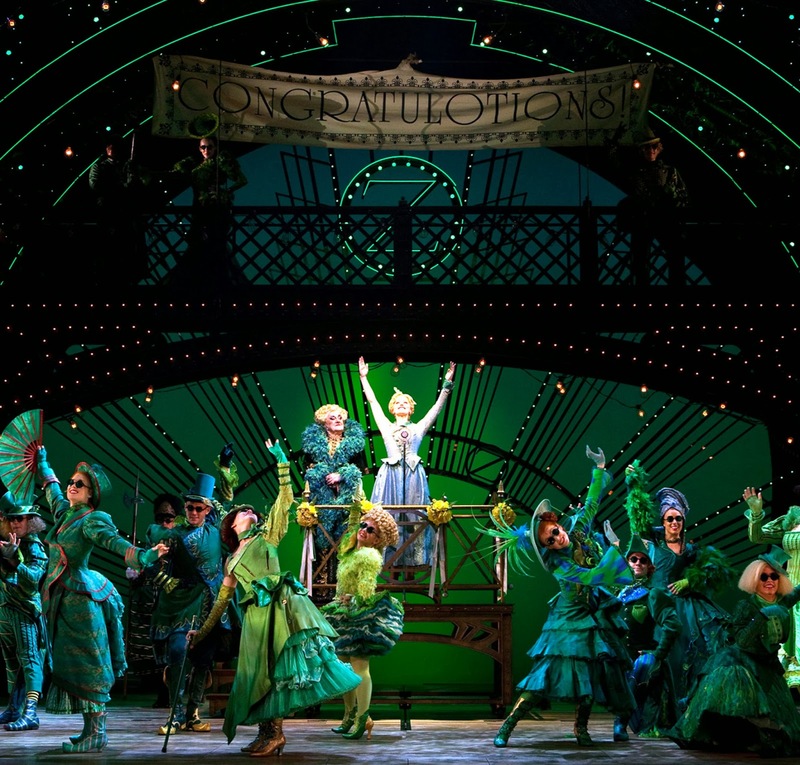 Since it began in March 2005, the national tour of WICKED has broken the house record in every single city in which it’s played, including Toronto, San Francisco, Denver, Dallas, Houston, St. Louis, Hartford, Washington D.C., Tampa, Ft. Lauderdale, Pittsburgh, Cincinnati, Philadelphia, Boston, Atlanta, Detroit, Cleveland, San Diego, Costa Mesa, Phoenix/Tempe, Portland, Seattle, Providence, Baltimore, Miami, East Lansing, Oklahoma City, Columbus, Charlotte, Orlando, Kansas City, Rochester, Buffalo, Ottawa, Minneapolis, Louisville, Appleton, Salt Lake City, San Antonio, Omaha, Fort Myers, Birmingham, Jacksonville, Norfolk, Indianapolis, Memphis, Tulsa, Austin, Nashville, Des Moines, Wichita, Syracuse, Greenville, Dayton, Richmond, Milwaukee, New Orleans, Richmond, Toledo, Durham, Milwaukee, Madison, Little Rock, Kalamazoo, Tucson, Albuquerque, Fresno, Eugene, Boise, Spokane, Vancouver, Calgary, Edmonton, Saskatoon, Winnipeg, and Las Vegas. Susan Hilferty designed the Tony Award® winning costumes for the show, most of them gorgeous and unlike any you’ve ever seen – and all of them conjuring up the fantastic world of Oz. Some need two dressers to lift. The costumes are complemented by 70 wigs with actors making up to eight changes from beginning to end. Custom-built, the wigs cost from $1500 to $2,500 each. 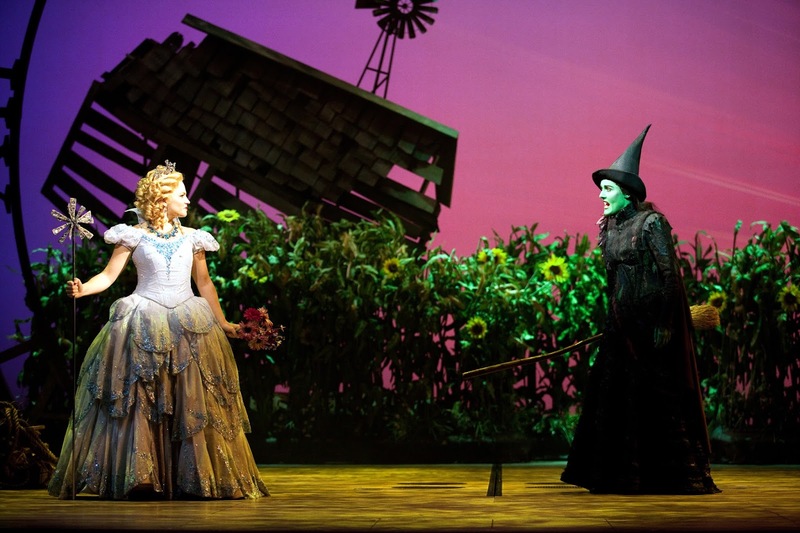 WICKED has 54 scenes and locations, and each has its distinct light and mood. WICKED features music and lyrics by Stephen Schwartz (Godspell, Pippin, Academy-Award winner for Pocahontas and The Prince of Egypt)and a book by Winnie Holzman (My So-Called Life, Once and Again, and thirtysomething) is produced by Marc Platt, David Stone, Universal Pictures, The Araca Group, Jon B Platt and John Frost. Ready to be mystified? 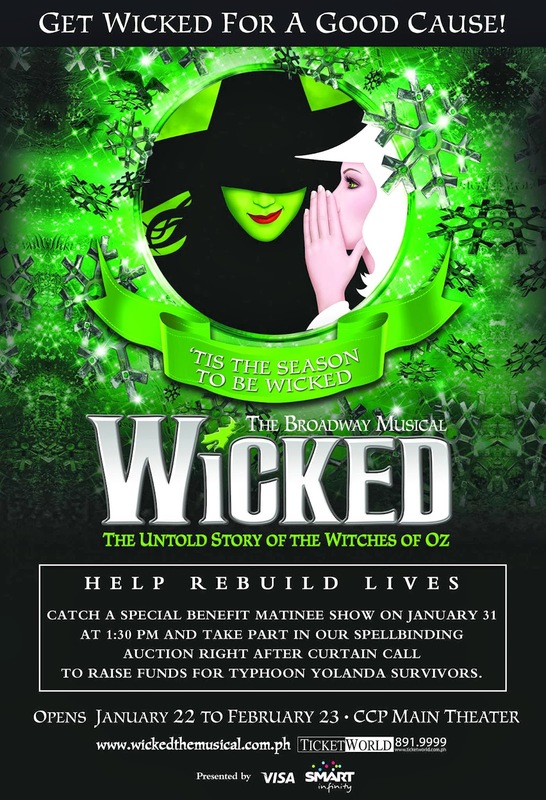 Then you should grab your tickets now as Wicked Tickets are selling like hotcakes. The show opens its curtains on January 22 at the Nicanor Abelardo Auditorium at the CCP.